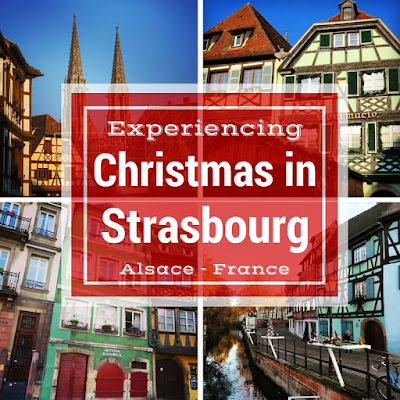 We'd heard that Strasbourg was a magical destination for Christmas. Every year, we like to rent an apartment (often using Airbnb) and pretend to be locals for a week or two. Situated in France, Strasbourg has changed hands between France and Germany a number of times over the centuries and thus showcases a curious cultural mix. In contrast to Germany, the Christmas markets generally stay open between Christmas and New Year's Day. With this in mind, we booked an apartment in Strasbourg for five days. 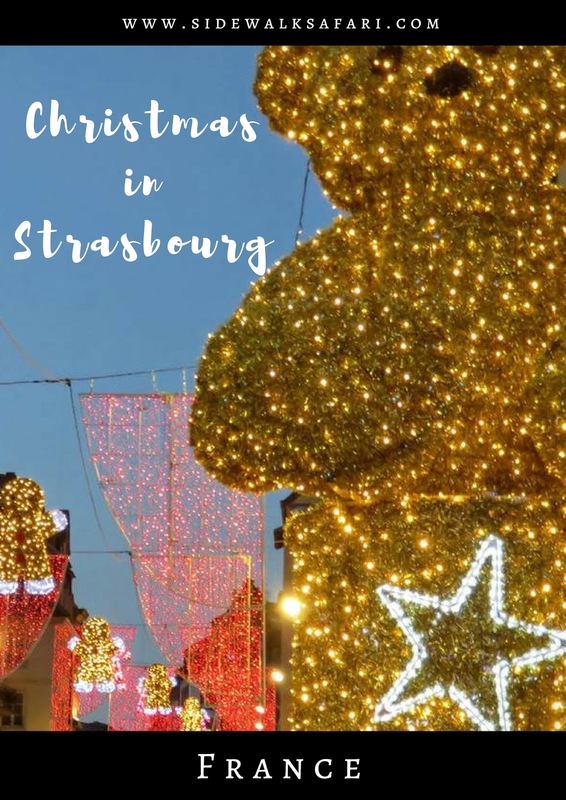 Here are some things that make Strasbourg at Christmas special when you see it through the eyes of a short-term local! 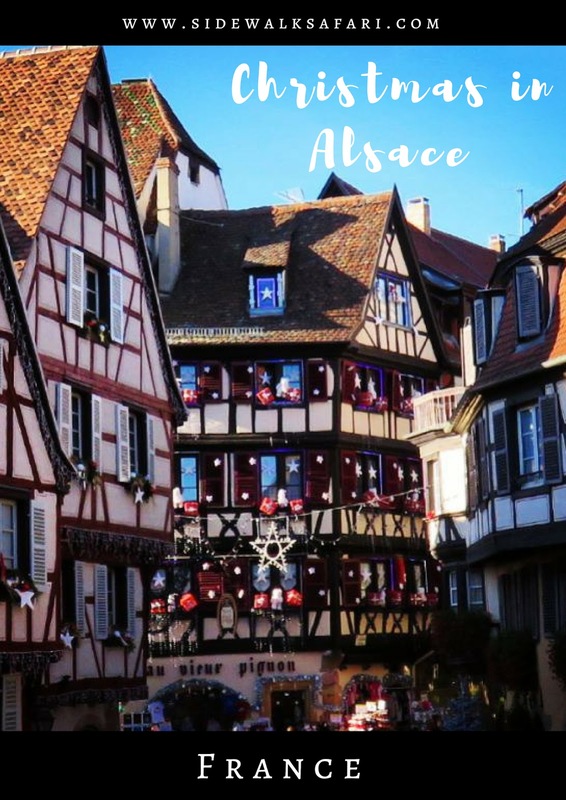 Because of the German influences, Alsace features some amazing Christmas markets. 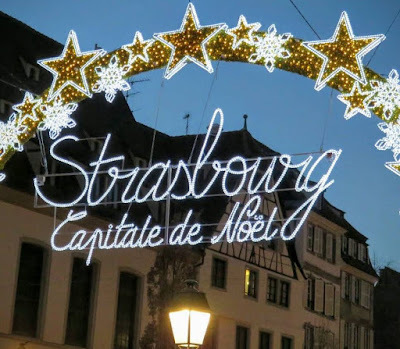 Sadly, the premier market in Strasbourg itself closed early this year on Christmas Eve due to the tragic terrorist attacks in Paris in November 2015. 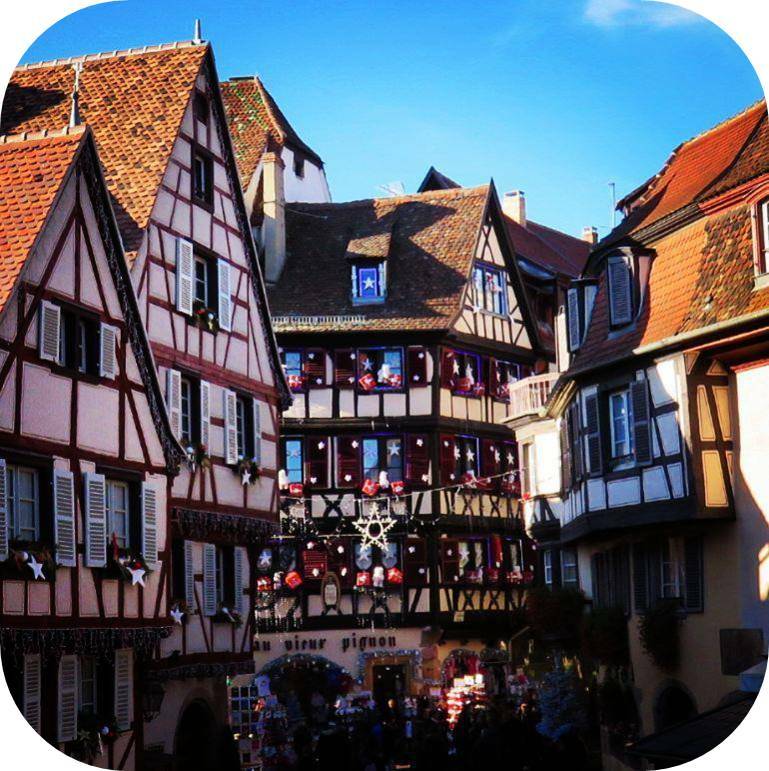 However, the markets in the smaller towns of Colmar and Obernai were open and buzzing with Christmas cheer. Colmar (above) features a fairy tale mix of half-timbered architecture and at least five different markets to explore. We also really liked Obernai (below). 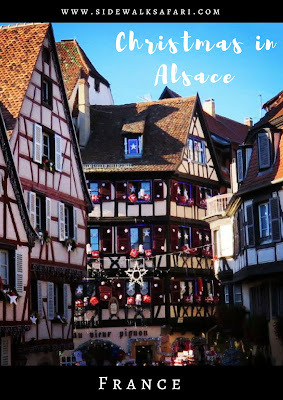 Obernai is a quaint small town about half an hour by train from Strasbourg. 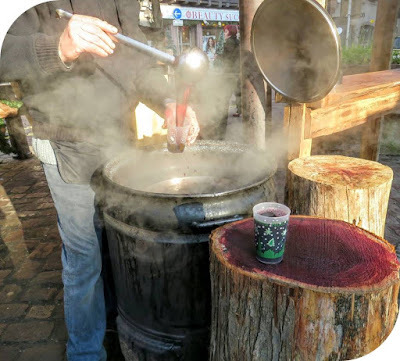 Their market featured a real live nativity scene and hot wine served from a steaming metal barrel. My only disappointment with the French Christmas markets is that they don't 'do' Christmas mugs. Instead, you pay a 1 EUR deposit for a cheap plastic cup. The cup is festively decorated but it's not the same. 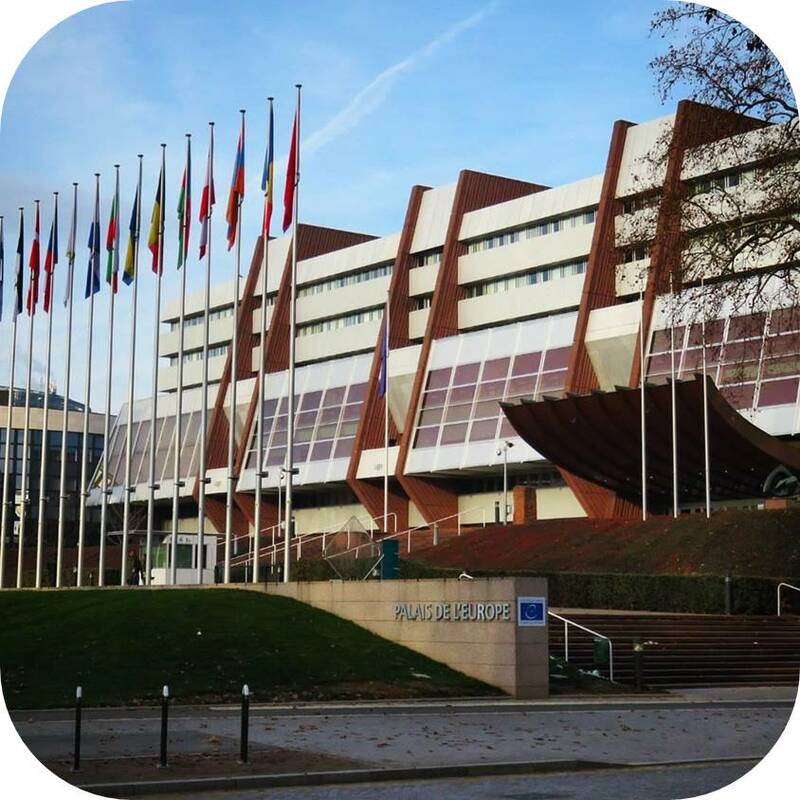 Back to Strasbourg! Life in the city centers around the cathedral. Surrounding the cathedral is a bustling square with shops and restaurants. You can see the spire and orient yourself nearly everywhere in the city. The tower was the tallest building in the world for over 200 years and only gave up the mantle in 1874. Needless to say, it's an impressive building both inside and out. There is just something about sparkling Christmas lights that fuel holiday spirit. 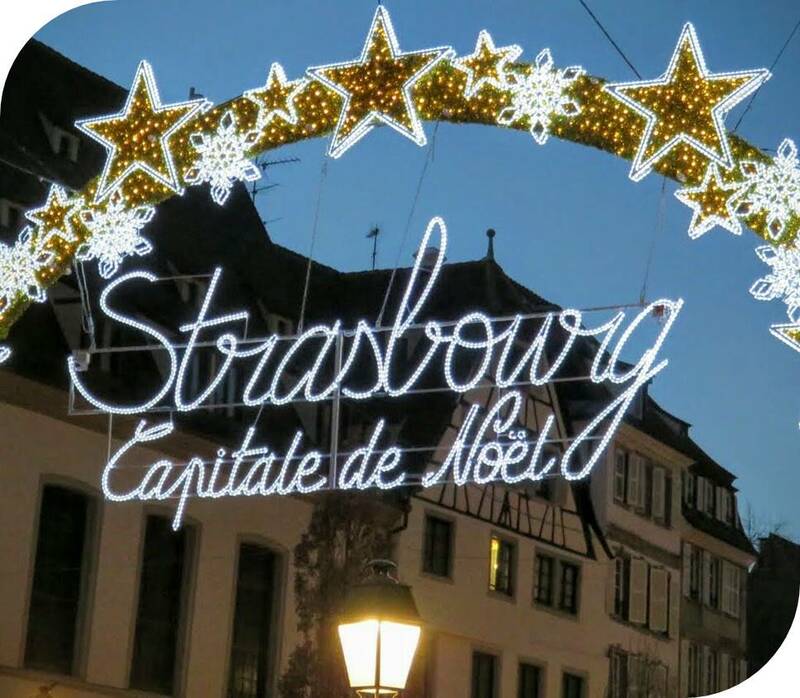 Strasbourg was aglow on many of its streets with twinkling lights after dark creating an amazing atmosphere. I mentioned in my post about Christmas in nearby Stuttgart that we are not traditional people. Why else would we be on holiday thousands of miles away from our families for Christmas. There are some traditions that we subscribe to, however. Exercising my sweet tooth is definitely one of them! 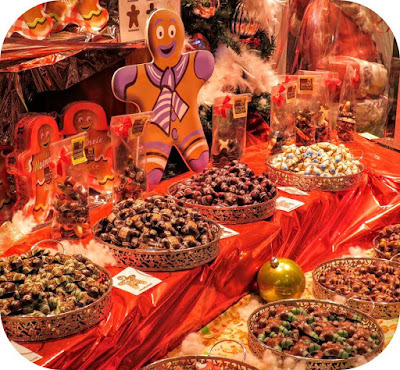 Chocolate gingerbread men were one of our favorite festive treats in Strasbourg. 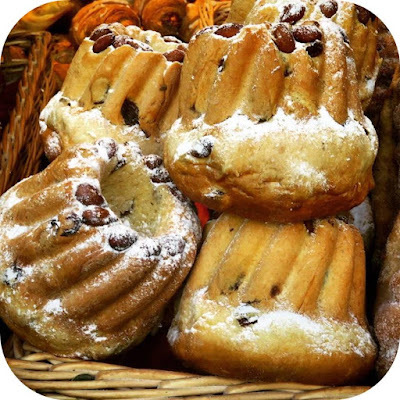 Kougelhopf, like a distant relative of an Italian panettone, comes in a variety of sizes. These kougelhopf were just flying off the shelf so we had to try one. Thank goodness for my waistline; they come in 'small' sizes too. I often think of that famous saying: when in Rome... do as the Romans do. 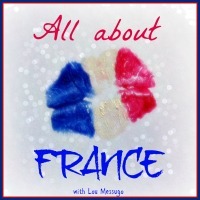 That was definitely our attitude in Strasbourg: when in France... Strasbourg is famous for escargot: snails! This is not something we'd normally gravitate to back home in Dublin or the U.S., but when in France. 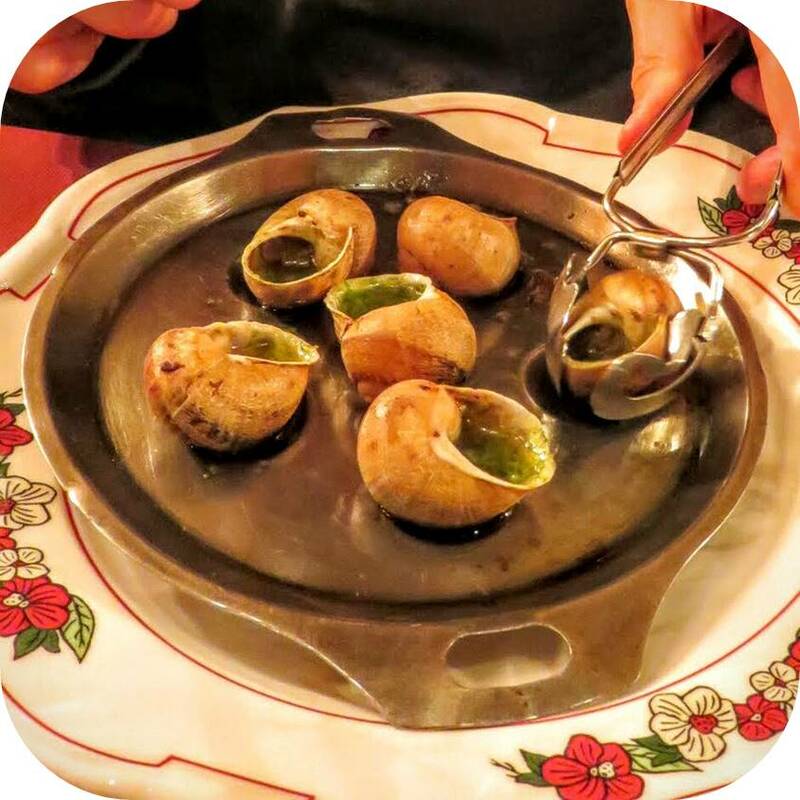 Our order of escargot came in a savory garlic oil. We used the special snail picker-upper that they gave us and extracted the delicate meat. Escargot has the texture of a mussel and the sauce was simply fantastic. We actually enjoyed our culinary adventure quite a bit! 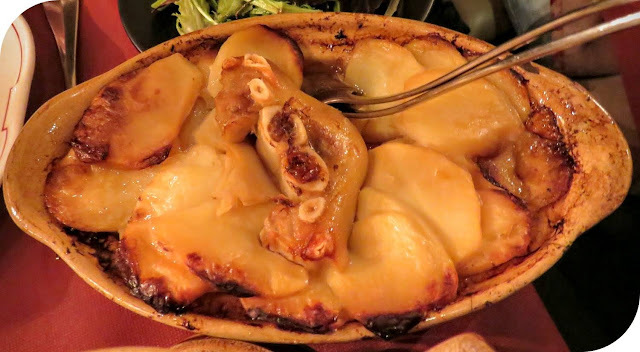 At Christmas time, filling comfort food is always in order. Strasbourg definitely delivered on that front. Baekeoffe (above) is a cheesy, potato-y, meat filled casserole. It's very hot and very filling. 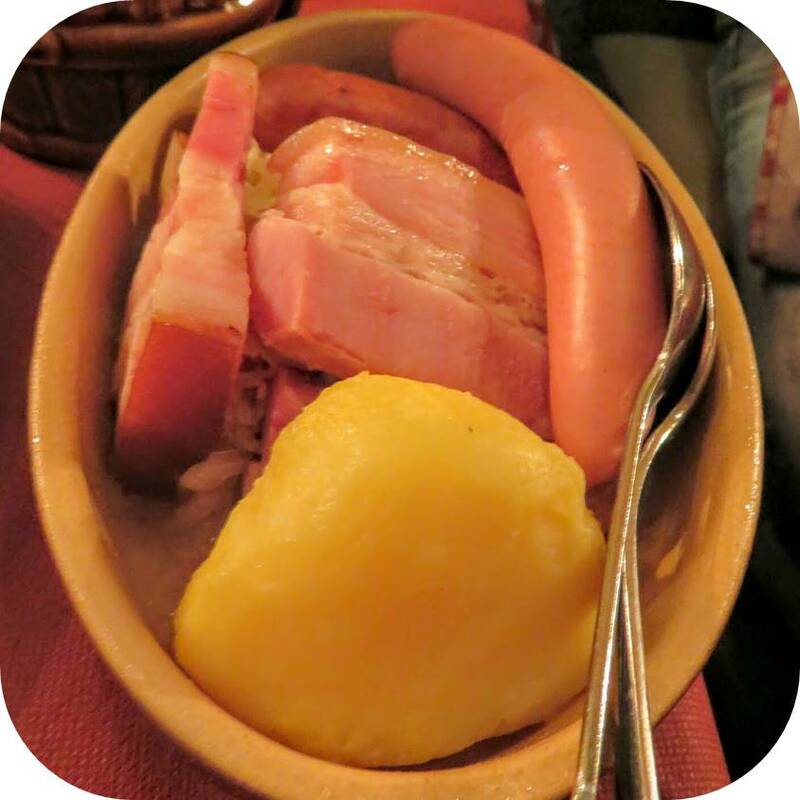 Choucroute is essentially a giant dish of meat on a large bed of sauerkraut. Neither of these dishes are something I would eat every day (so heavy...) but when in France. 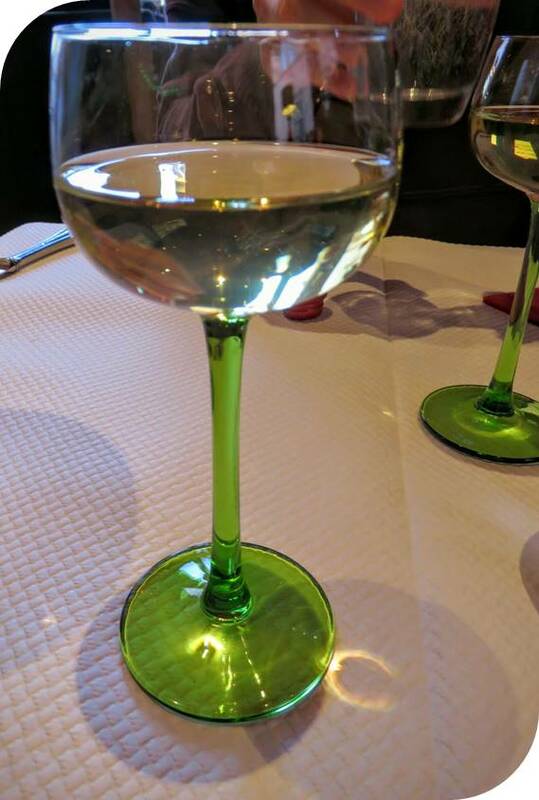 Contrasting with the food, the wine glasses were tiny and delicate with green stems. They were the perfect vehicle for delivering fine, floral Alsatian white wines to my palate. Walking around town, Strasbourg has great atmosphere both for the Christmas season and year round. 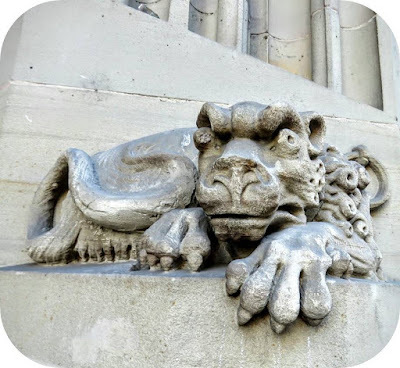 I loved spotting the ornate gargoyles peeking out from various nooks and crannies. 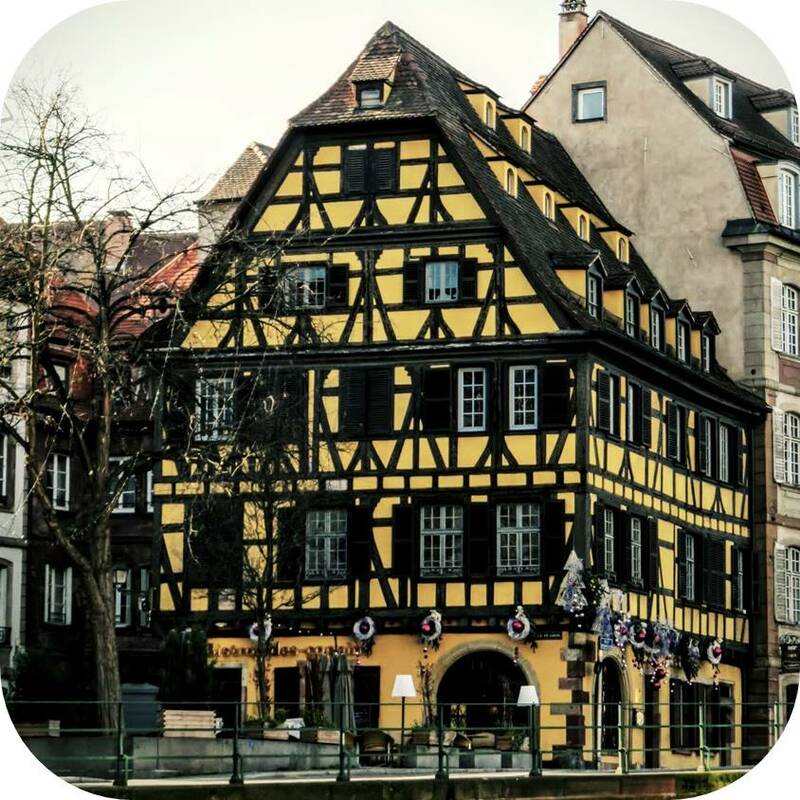 What really makes Strasbourg special is the half-timbered architecture. Walking through the city is like taking a step back in time to a medieval village. 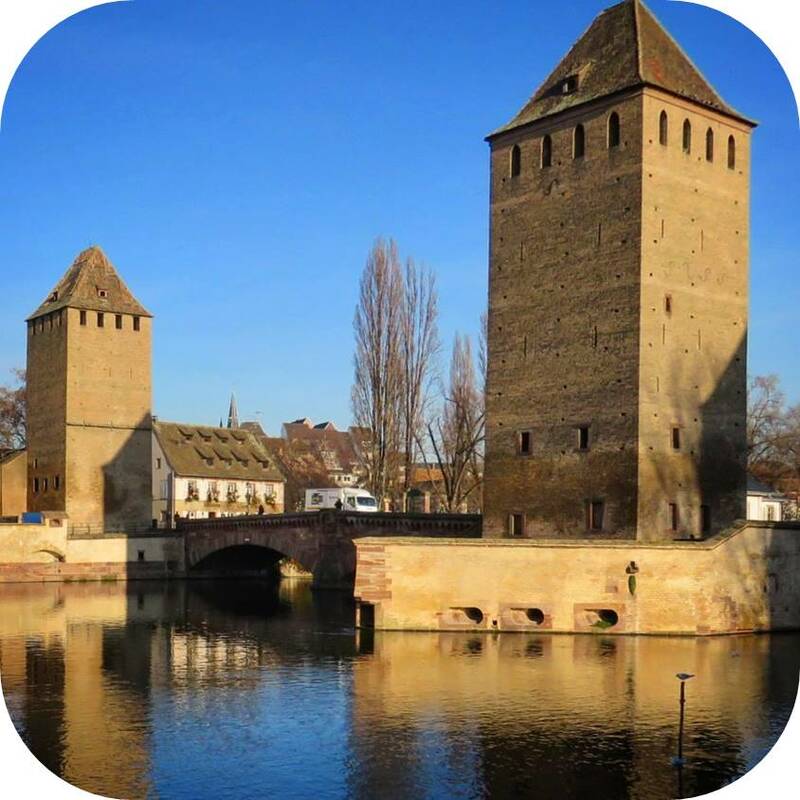 Strasbourg is also known for its iconic 'covered bridges'. Built in the 13th century, they were part of a defensive structure around the city. Today, the bridges are no longer covered but make for stunning viewing on a crisp, cold winter's day. 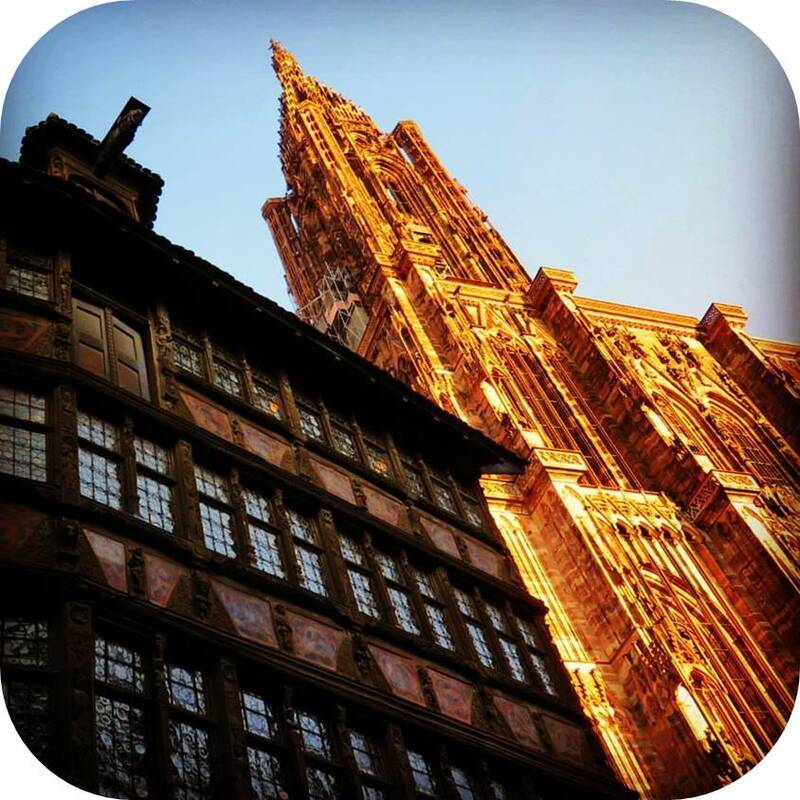 A UNESCO Heritage site, the Petite France area of Strasbourg just drips with ambiance from the Middle Ages. 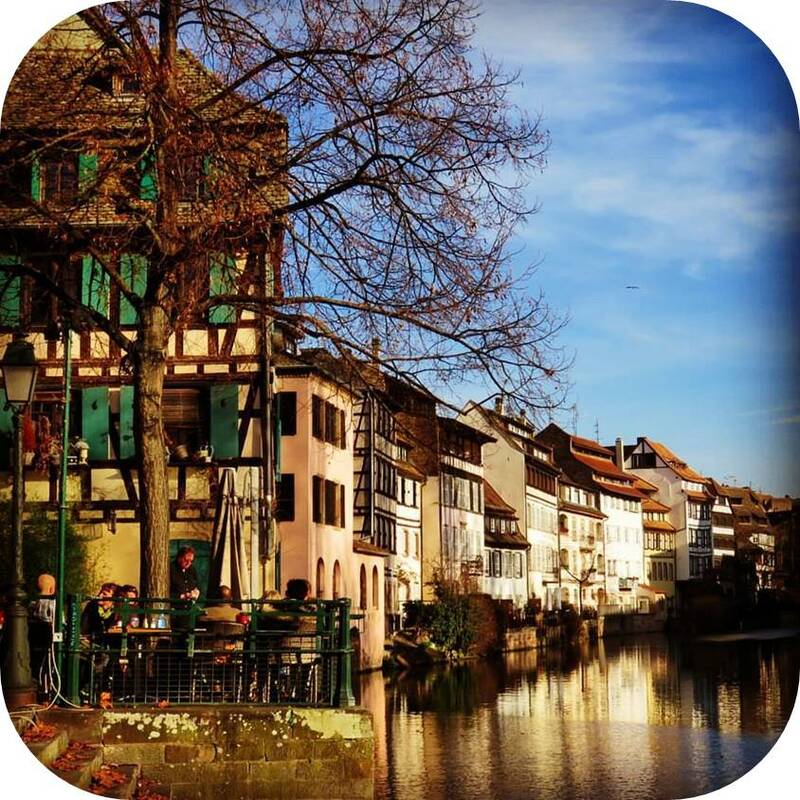 Once home to millers, tanners, and fishermen, today, Petite France is the most touristy part of Strasbourg. The streets are lined with quaint shops and restaurants where you can even dine al fresco along the riverbank. The Musee Historique de la Ville de Strasbourg is a fun diversion for a hour or two and a great spot to warm up from cold outdoor exploration. The museum is super high tech and features a touch free headset that starts and stops on its own as you walk from exhibit to exhibit. There are also a number of hands-on activities. I got to try on a knight's metal helmet (yes, this was meant for kids, but I'm a kid at heart!) and we got to practice the medieval art of printing and folding paper into a book. 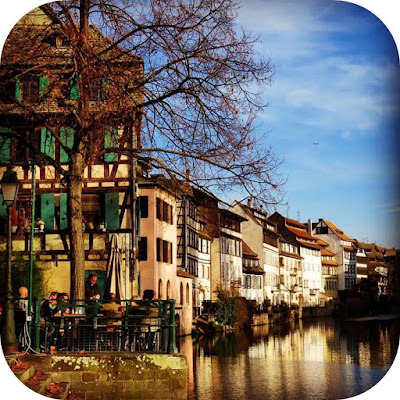 When I think France, I immediately think of wine and Strasbourg is no exception. 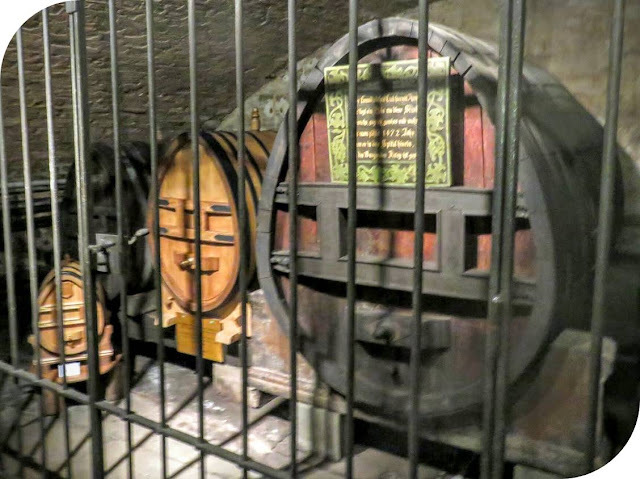 Strasbourg hospital even has a wine cellar that is free and open to the public. 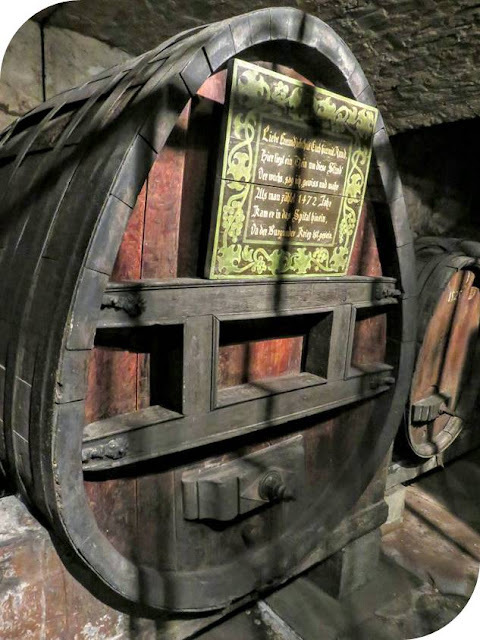 The pièce de résistance is a barrel full of wine dating back to 1472! You can also buy local wines for reasonable prices in the gift shop. The hospital wine cellar is off the beaten track but definitely worth taking the detour. Strasbourg feels like a medieval city through and through but it definitely has a modern side. Strasbourg is the seat of the European Parliament and hosts a number of EU government buildings (think a 1970s style interpretation of futuristic architecture). We live in Ireland but seeing the parliament just drives home how we are part of something bigger. 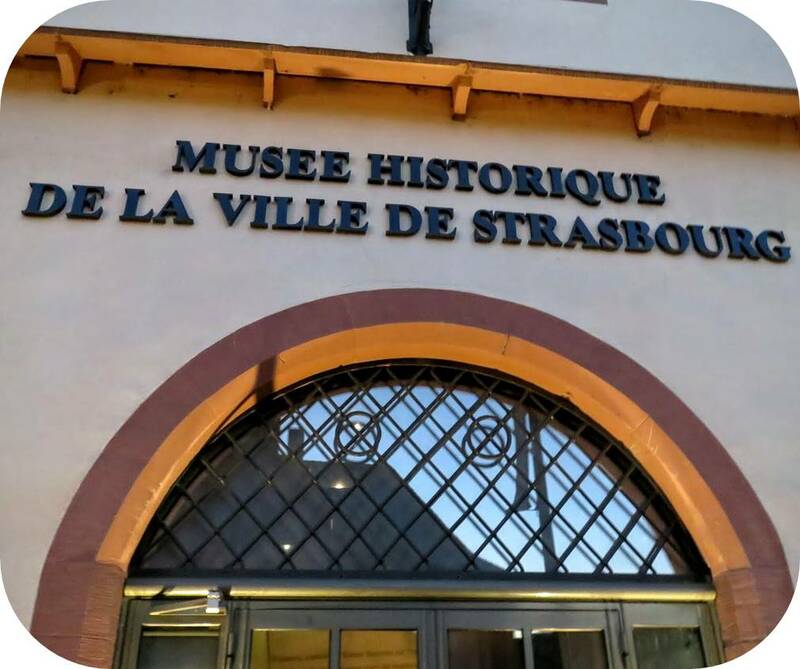 Staying in town for longer than our usual 2-3 day weekend allowed us to explore Strasbourg in a bit more depth. Not far from the European Parliament, we took a stroll through Parc de l'Orangerie. 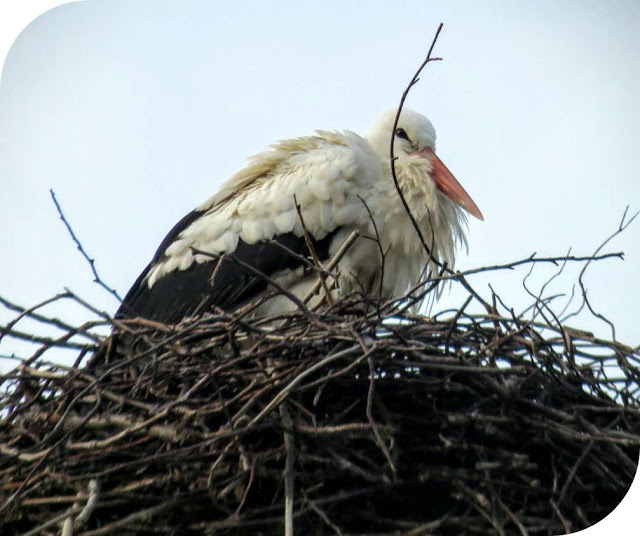 The trees in the park are an ideal size and shape for welcoming storks and their nests. It was pretty quiet when we visited, but we did spot one stork atop the chateau in the center of the park. 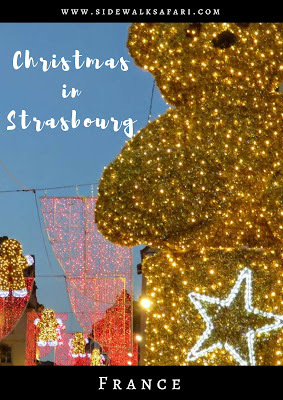 We discovered that Strasbourg is a fantastic home base for a Christmas trip. Between the regional christmas markets, magical architecture, hearty food and amazing wines, we definitely felt right at home. 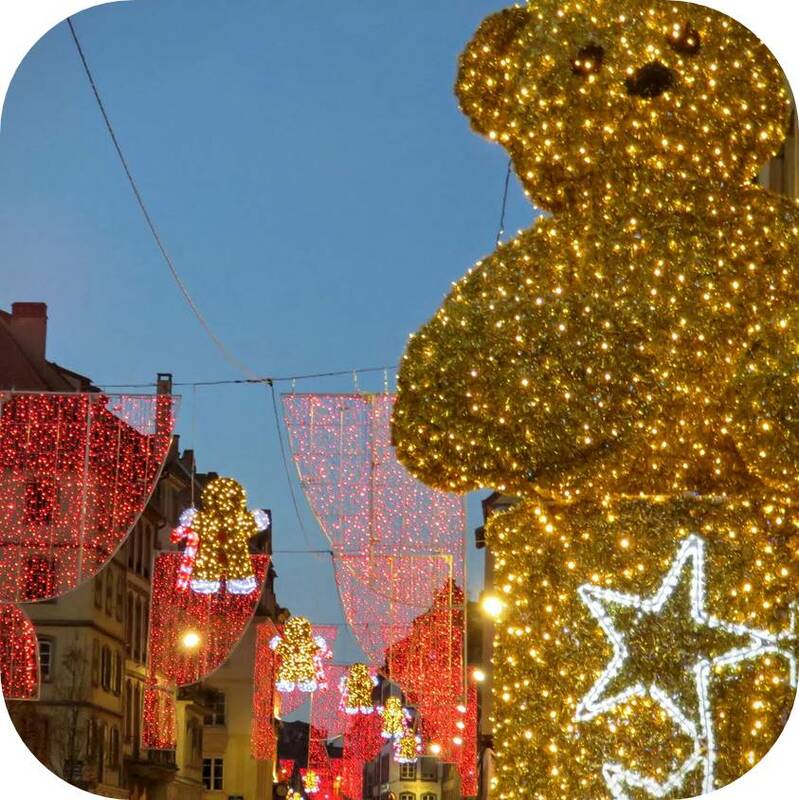 Where else would you recommend visiting for Christmas cheer in Europe? 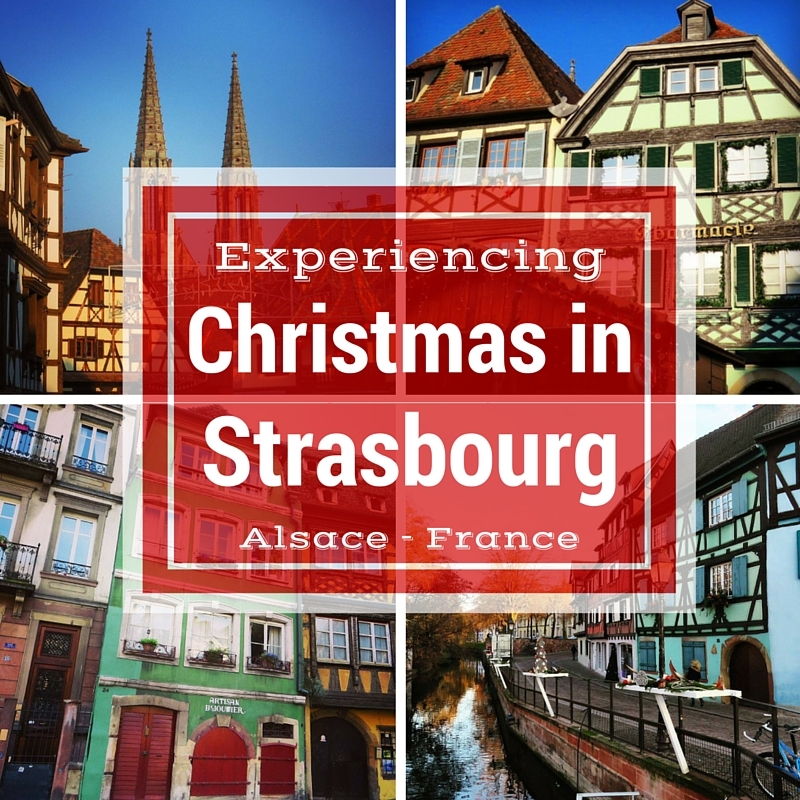 Celebrate the Christmas holiday season in Strasbourg, France and the surrounding area in Alsace. Written by Dublin based travel blogger, Jennifer (aka Dr. J) of Sidewalk Safari.